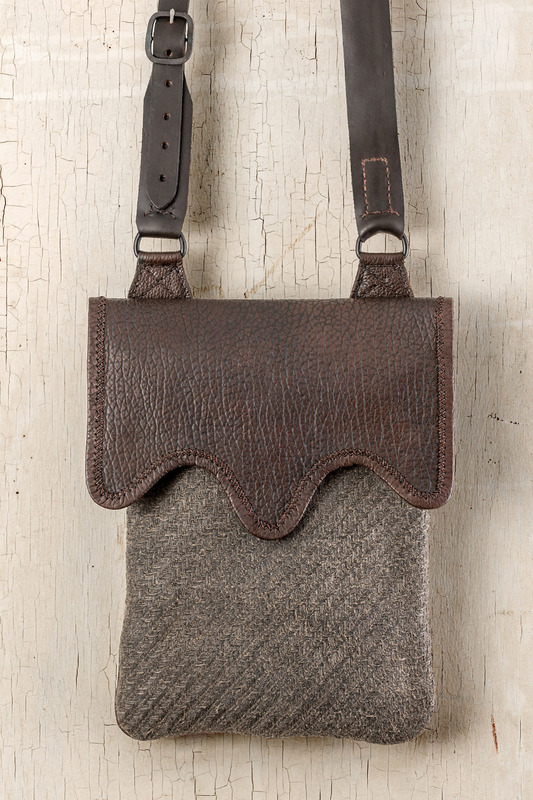 The Carolina Haversack features 1 large main pocket with 2 smaller side by side inner pockets at 4 1/2″ wide x 5″ deep. 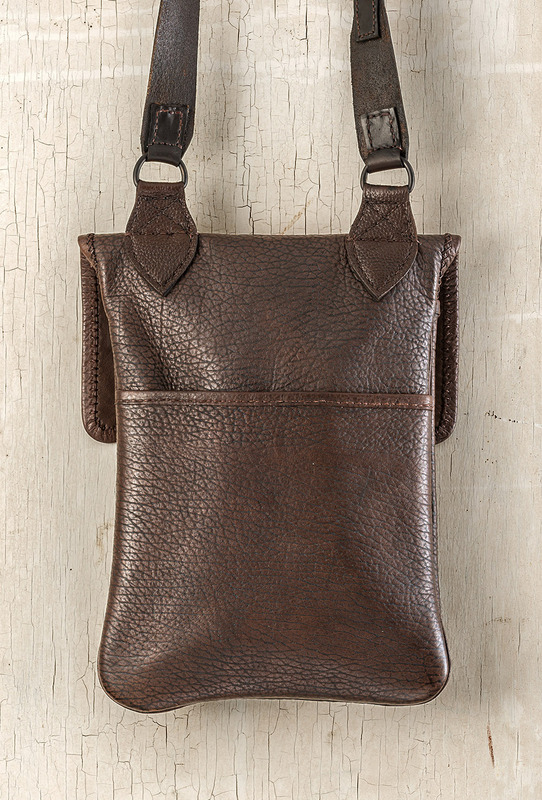 The bag pictured is lined with a separate layer of deer skin for durability. Hand sewn with waxed linen thread. Adjustable 1 1/2″ wide leather strap with hand forged buckle attached with iron D-rings. 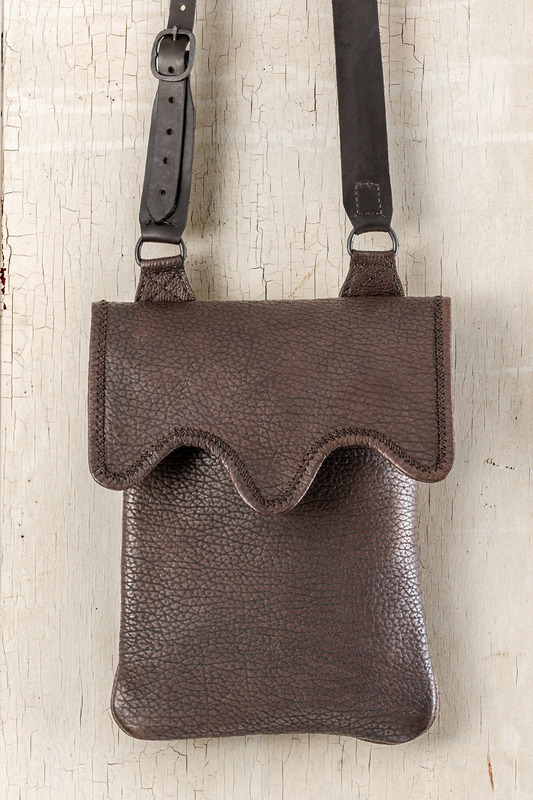 The Carolina Haversack can be made from a variety of leathers or in combination with hemp that has been dyed with walnut hulls. 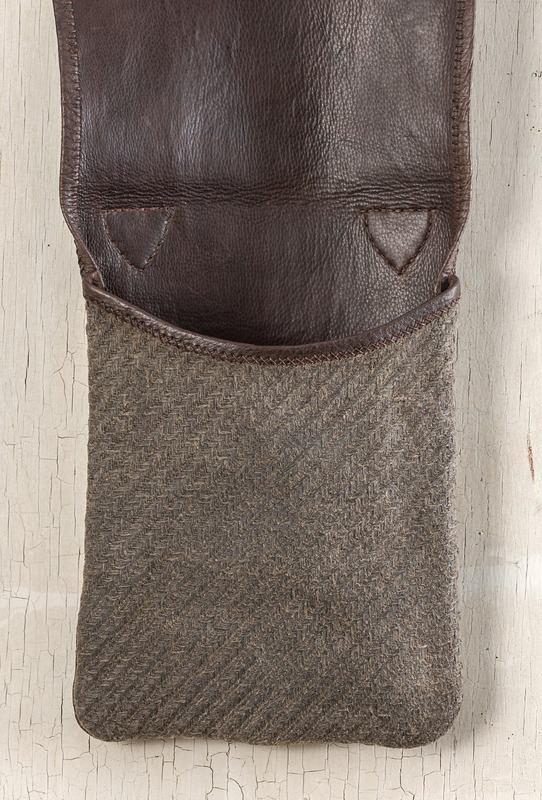 Right picture with buffalo leather, left picture with herringbone hemp front and buffalo flap and back.